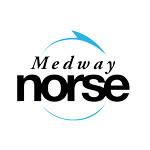 Medway Norse is part of Norse Group’s impressive portfolio of joint ventures, providing a range of services in partnership with Medway Council. A key element of Medway Norse is their delivery of grounds maintenance, and they are looking to recruit a number of Seasonal Ground Maintenance Operatives to join our service-driven team. Whilst undertaking this role, you will focus on maintaining and improving the standard of gardens, highway verges, municipal parks and open spaces across Medway. You will be tasked with all aspects of grounds maintenance, including; grass cutting (with appropriate tools and machinery), hedge trimming, minor ground tree work, litter picking and weed control. This is a seasonal position from March until Monday 30th September 2019. This role will be shift based, working 37 hours per week Monday – Friday between 07:00 – 16:30.